After several trips to our local orchard, The Cute Potato house is positively brimming with red fruit. We’ve made applesauce, apple crumble and an apple tart. And while MP loves all of these wonderful fall treats, they’re not so kind to her waistline. 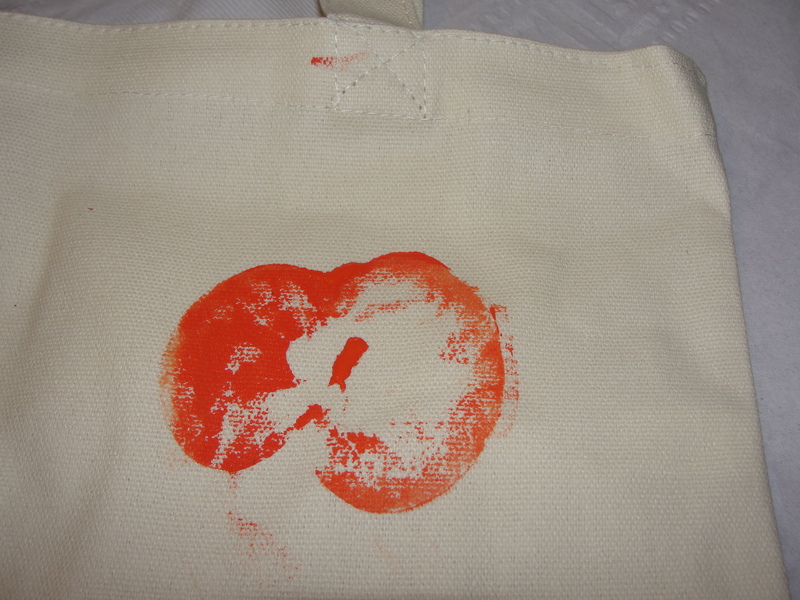 Thankfully, she spotted a super cute Apple Print Bag like this one on Martha Stewart Crafts. 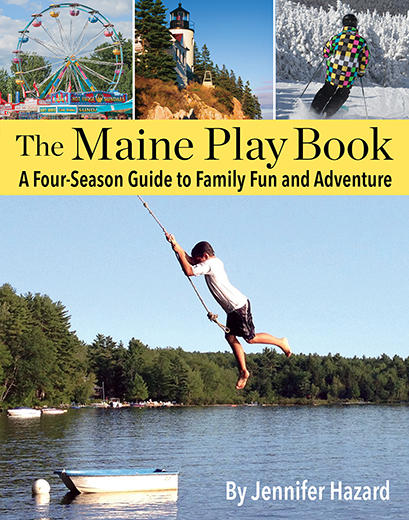 It’s a messy project for sure, but surprisingly easy. And the kids liked that they could make their own tote bags for library books. 1. Slice apples in half (stem side up) and place the sliced-side down on a paper towel to dry excess moisture. 2. Paint the flat side of the apple slice in the color of your choice. 3. 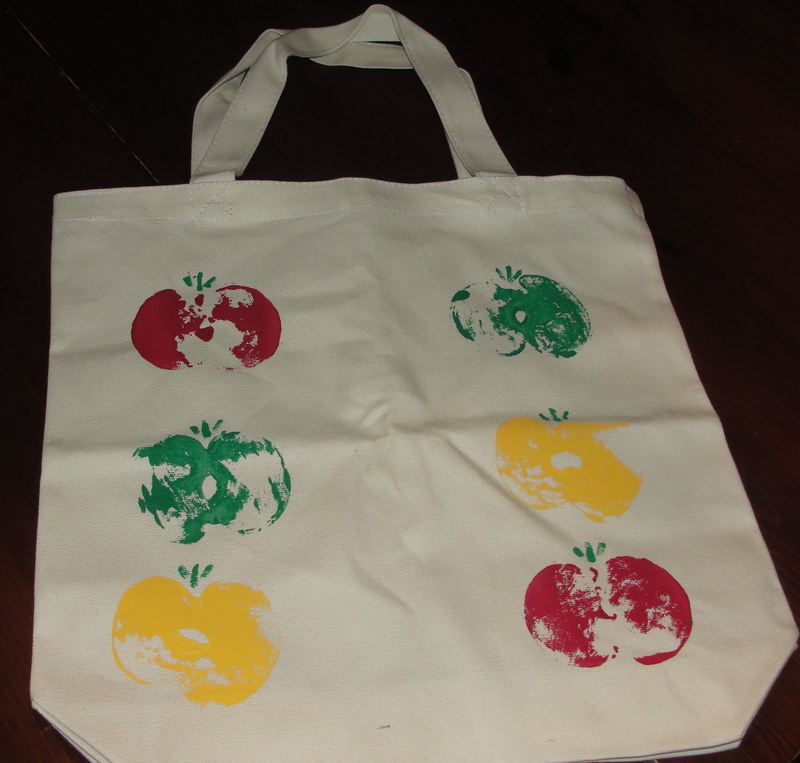 Carefully place the painted apple on the canvas bag and press down. Wait 30 seconds and slowly bring the apple back up. 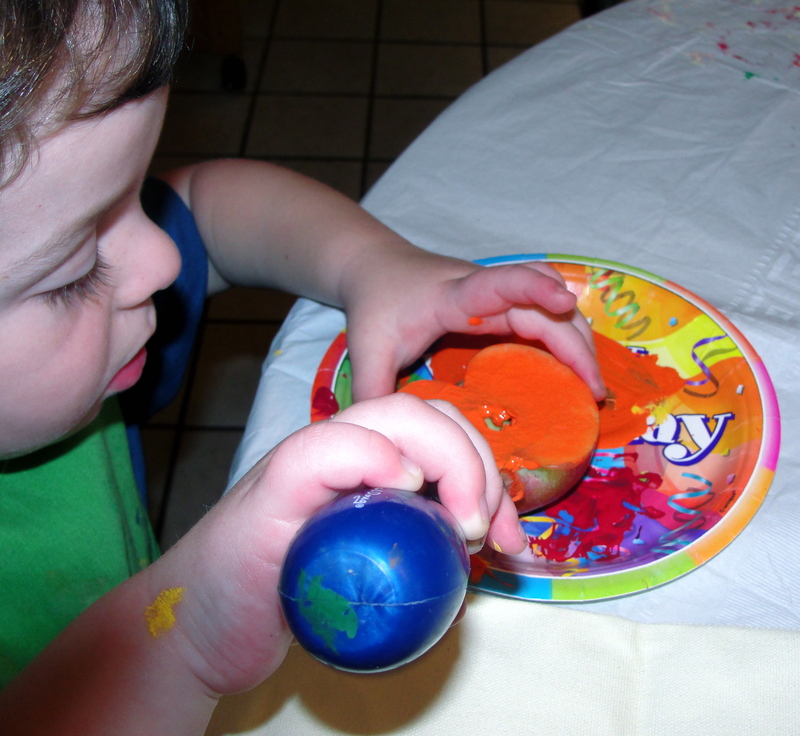 Note: The kids needed help with this part, and MP had to reapply the stamp once or twice for vivid color. 4. Create any pattern you wish. 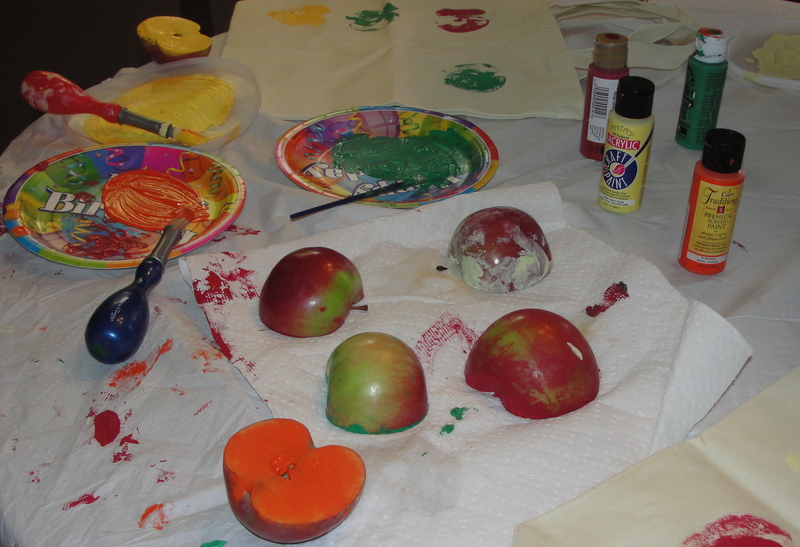 When the apple stamps have dried, paint on the stems (again, Mom or Dad might need to assist here). We had so much fun making these bags, and we’re thinking they’ll make fun holiday gifts for friends and relatives. In the future, the team might try cutting sponges in various shapes for fun designs. Of course, we’re always thrilled to hear your ideas… feel free to send them along.